Some people were Disney fans, and some people were Nickelodeon fans. 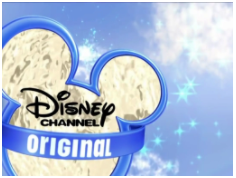 However, why is nobody talking about how the old Disney Channel was many times better? Many people grew up watching the Disney Channel classics. Children’s lives were full of “That’s So Raven,” “Lizzie McGuire,” “The Suite Life of Zack and Cody” and “Even Stevens.” These shows were always relatable and spread good and positive messages. However, these days Disney Channel is filling up their show list with a mess of random shows like, “Bizzardvark” and “Bunk’d” and “Stuck in the Middle.” Sadly, these shows are less relatable and less satisfying in general. Young kids used to turn on the TV to watch “Lizzie McGuire” and her relatable teen problems. Lizzie was an inspiration to many children, and nowadays Disney Channel does not show enough positive messages. She was a lovable, multi-faced teenage girl who was just as awkward, yet relatable to many children. Disney Channel is now features talking dogs who are capable of maintaining their own personal websites. “Lizzie McGuire” addressed real-life problems that teens could encounter; that’s what made the show inspiring. These new shows have very little depth and purpose. They hardly teach life lessons or present substantial content. Even though there is still some sort of comical element featured on the “New Disney Channel”, it doesn’t even compare to the old school humor of Raven Baxter. Sadly, this is what favorite childhood pleasures have become. Future generations will never get to enjoy the awkward yet memorable Even Stevens family vacation, nor will they get to see Raven Baxter having her first crush. They will only get to witness a web-capable puppy pretending he is just a normal house pet. Should Pineapple go on Pizza?? Nintendo 3DS or Nintendo Switch? Maybe it’s because the Illuminati captured/possessed the lives of the old Disney actors. Another problem with the new Disney channel is that it tries way too hard to spread messages throughout each episode, messages that are a little mature for 7-9-year-olds. The old Disney channel spread positive messages in a funny loveable way, the new Disney channel shoves it down your throat. They need to remember that 7-year-olds watch these shows! i loved hannah montana. now look what happened. everybody makes mistakes. everybody had those days.